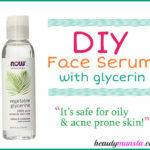 How to Use Pure Glycerin on your Skin - beautymunsta - free natural beauty hacks and more! Vegetable glycerin is a clear odorless and viscous liquid produced from plant oils like soy bean oil, palm oil or coconut oil. It is non-comedogenic which means it won’t clog your pores so it’s safe for oily/acne prone skin. 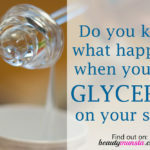 Glycerin has a skin tightening and toning effect. It is added to many cosmetic products for its versatility: it thickens products, helps them lather better and seals moisture into the skin. 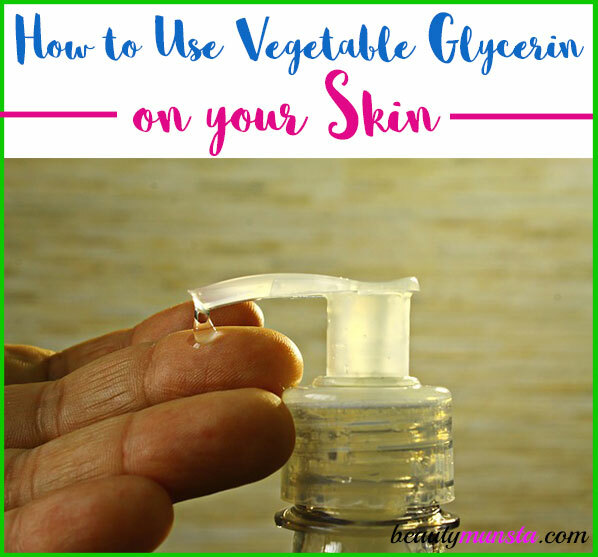 Before we look at how to use pure glycerin on skin, let’s first check out the beauty benefits of vegetable glycerin, shall we? Has oil-control properties. This which makes it a good ingredient for a DIY toner. Has anti-aging properties. 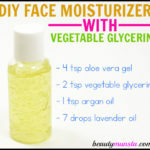 Glycerin is very moisturizing, which is a very important property for youthful skin. Dry skin is super prone to wrinkles! Smoothens skin. 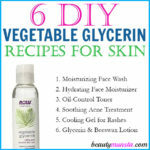 If you have rough and tough skin, glycerin will smooth it down! It has a silky texture that softens and smoothens skin. Emulsifier. Consider using vegetable glycerin in your DIY recipes to emulsify the oil and water ingredients into an emulsion that doesn’t separate! 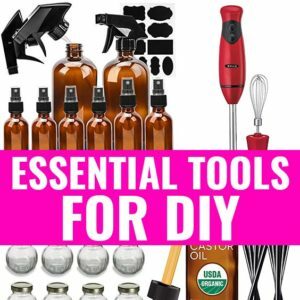 Thickener for DIY recipes. 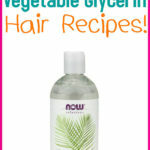 Again, add glycerin to your DIY recipes like shampoo, face wash, etc to thicken the mixture up! It also helps provide a better and richer lather! 1. Face wash: Into a Pyrex measuring cup, mix together 1/3 cup unscented liquid castile soap, 2/3 cup organic rose water, 1 tsp vegetable glycerin, ½ tsp vitamin E oil, 10 drops lavender oil. Now pour the mixture into an 8 oz plastic amber pump bottle. Use in the morning and at night before bed. 2. Non-soapy facial cleanser: Pour 4 tbsp of raw honey, ½ cup of rose water, 2 tbsp of vegetable glycerin and 4 drops lavender oil, 4 drops geranium oil and 3 drops patchouli oil in a Pyrex measuring cup. Now blend everything using an immersion blender. Store in an amber pump bottle in a cool dark and dry place. 3. Oil-Control Toner: In a 4 oz spray bottle, add 1 tbsp witch hazel, 1 tbsp vegetable glycerin and top with rose water. Shake well and spray on your face after cleansing for a toning effect. 4. Moisturizer: In a 4 oz amber spray bottle, add 3 oz organic rose water, 1 tsp vegetable glycerin, 1 tsp jojoba oil and 5 drops lavender oil. Spray onto your face to moisturize. This moisturizer is perfect for oily/acne prone skin types. Always ensure to get 100% pure high quality vegetable glycerin. Personally, the 100% pure Vegetable Glycerine from Now Foods is my best so far. It comes in a 16 oz bottle.